Tower D is situated on Bootham, at the Northern extremes of the abbey precincts. The tower would have formed part of the abbey defences, linking with the city walls at Bootham. Above. Tower D looking South East. 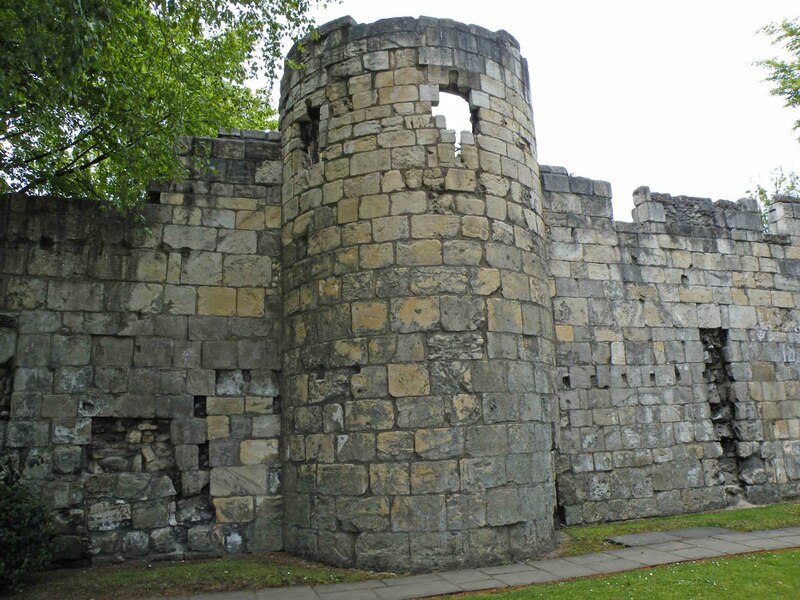 The tower was most likely built around 1266, and may represent the original form that Tower A and Tower B may taken. 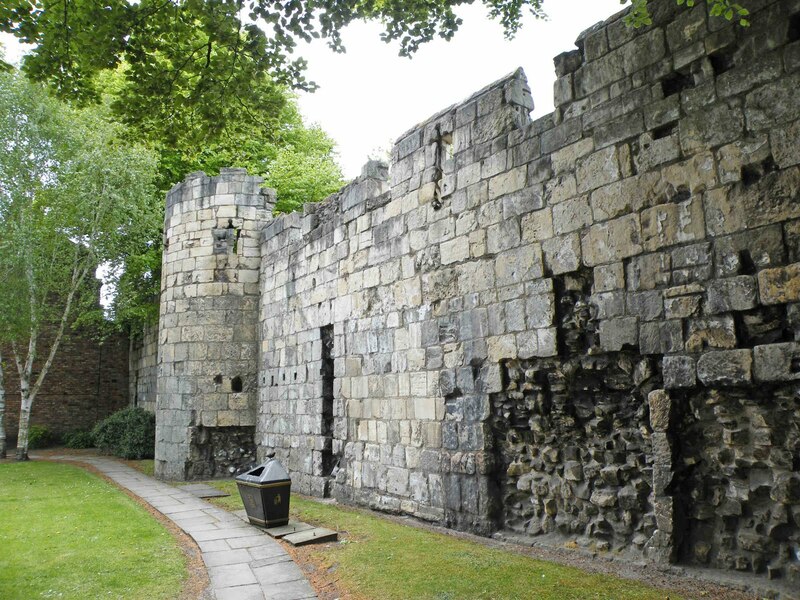 It probably stands to its full original height, and still retains its crenelations and a narrow parapet walk. Above. Tower D from Bootham road side. This is a really well preserved tower, and easily viewable from the road side.